*Recent ruminations from LUPEC Boston, in case you missed ’em in the Dig’s Gift Guide. “Give a man a fish” versus “Teach a man to fish” and all that. 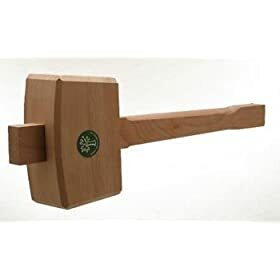 You can’t make good cocktails at home without the right tools, and giving them to friends is a great way to ensure you’re served a properly made drink when entertained in their home. Eschew the shiny Bar Tool Sets you’ll find at Crate & Barrel and bundle up your own Professional Version, including a Boston shaker (mixing glass and shaker tin), Hawthorne strainer, julep strainer, bar spoon, muddler, Joyce Chen enameled hand juicer, and jigger or Oxo angled measuring cups – the recipient will be good to go. For one-stop shopping, visit The Boston Shaker store once it opens in Davis Square (check the website for updates on the not yet announced opening date) or shop online at thebostonshaker.com. 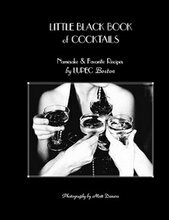 This is the part where we shamelessly plug our own Little Black Book of Cocktails ($15, 100% of the proceeds go the charity; available at Grand the Store or thebostonshakerstore.com). Filled with 35+ delicious recipes, quotes about cocktailing, and stunning photography by local shutterbug Matt Demers, this slim volume is fun and easy to mix from. Wrap it up with the ingredients to make your favorite recipe and the recipient will have a bona fide party on their hands. We recommend the Hearst (featured on Pinky Gonzales’ page) made with London Dry or Plymouth gin, Italian vermouth, orange bitters, and Angostura bitters, as these ingredients are essential for many other classic cocktails. The latest edition ($19.99, Barnes & Noble, Amazon) features 100 recipes excavated by Ted “Dr. Cocktail” Haigh, and the stories behind them. Peppered with lovely cocktail photos, vintage alcohol advertisements, pictures of old cocktail tomes and long discontinued bottle designs, it’s as delightful to look at as it is to mix from. Another great candidate for the previously mentioned Cocktail Book + Ingredients formula, this book is perhaps best paired with a Basket of Nips, thus offering the gift of experimentation without commitment to whole bottles of hooch you’re the recipient may not like or use much. Tiny bottles of homemade grenadine or special syrups add a lovely, personal touch. These gorgeous reproductions of long out-of-print cocktail tomes are fodder for cocktail and publishing nerds alike. 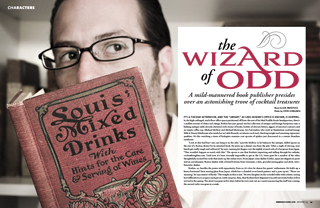 Mudpuddle Books has resurrected sought after and nearly extinct volumes, from Jerry Thomas’ seminal Bartender’s Guide: How to Mix Drinks: The Bon Vivants Companion ($29.95) to Harry Johnson’s Bartender’s Manual ($29.95), to the recently released reprint of Recipes for Mixed Drinks by Hugo R. Ensslin ($19.95), the last cocktail book to be published before Prohibition. All are reproduced with exacting attention to detail – even the paper feels old. Available at www.cocktailkingdom.com. You can’t make a good cocktail without good ice, and once a cocktail enthusiast is turned on to this, they cannot live without it. Your ice nerd pals will love a grab bag of ice tools, including a set of Tovolo Perfect Cube Silicone Ice Trays ($14.99 for a set of two, Amazon.com) that ensure dense, square ice every time, a Manual Ice Crusher ($28, http://thebostonshaker.com) for crushed-ice efficiency, and Hand-Stitched Lewis Ice Crushing Bag ($16, http://thebostonshaker.com) and mallet, that allows them to crush ice the old-fashioned way, and simultaneously release aggression. You may not know what to do with a bottle of Scrappy’s Lavendar Bitters ($20, http://thebostonshaker.com) but your cocktail nerd friend certainly will. More importantly they will appreciate the thought, especially when it comes to bitters that are hard to find. Assemble a set based on a theme, such as Fruit Bitters, different brands of Chocolate Bitters, or any set of the Bitter Truth bitters (a brand the market anxiously anticipated for over a year) and win major thoughtfulness points. Prices vary; available from $6 – $20 at thebostonshaker.com and $8.95 to $15.95 at www.cocktailkingdom.com. Sick of sipping drinks from the massive 8-10 oz martini glasses you bought at Ikea? A marvelous world of vintage bar ware awaits, most of which is available for bargain basement prices at antique shops, flea markets, and of course, on Ebay. Sourcing takes time, but your gift of a 1950s era martini pitcher and set of vintage cocktails glasses emblazoned with jockeys and racing horses is bound to impress. And no one needs to know you purchased it all from a little old lady in Iowa for just $33 on Ebay, including shipping. If you had a nickel for every time you thought “Gee, I wish I had a flask with me” you’d be rich. Oh no, wait – that’s just us. But really, every cocktail enthusiast should have a flask, even if it’s just for show. The gift become especially sweet if filled with a loved one’s favorite tipple (which for a LUPEC lady might be Fernet, Mezcal, Whisky, or a 60/40 mixture of St-Germain and Averna.) 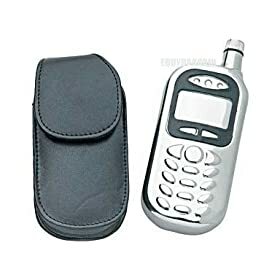 Flasks run the gambit in terms of design, size and price, from stainless steel, leather covered, pink crocodile, and cell phone shaped, ranging anywhere from 2 – 8 ounces in size, and available from Target to the many varied portals of the Internet. We recommend the 8-ounce Stanley “Classic” ($20), for its size, durability, lifetime warranty, and leak-proof guarantee. If boozy gifts aren’t what you’re after but you’d like to sip some booze while you shop, stop by Grand tonight, where LUPEC will be doling out 2 fabulous (and strong) punches from 7-10 p.m.
Good read. Thanks – from an antique phone enthusiast.